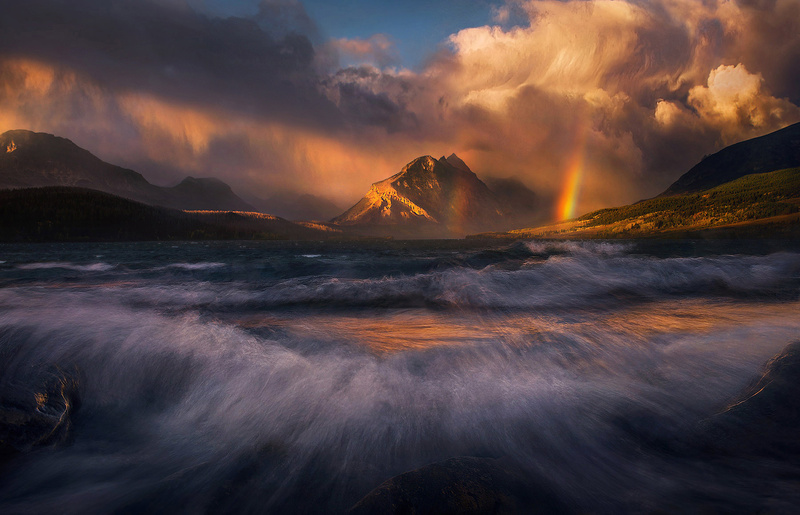 Roaring waves as the storm closes on St. Mary Lake in Glacier National Park creating some amazing light. . Photo © copyright by Marc Adamus.